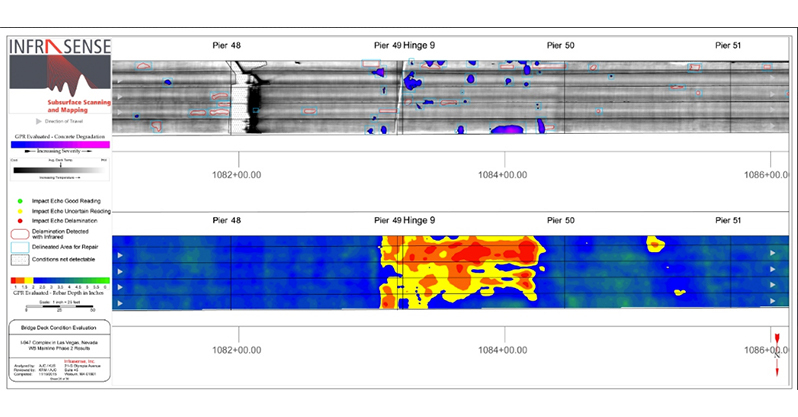 Multi-Phase Condition Evaluation of a 1.5-Mile Viaduct on I-515 in Las Vegas - Infrasense Inc. The State of Nevada commissioned a deck rehabilitation project of the “Downtown Las Vegas Viaduct”, which spans over 1.5 miles of I-515, beginning just east of the I-15 interchange in Las Vegas, Nevada. In order to facilitate planning and subsequent design efforts, a comprehensive nondestructive evaluation of the deck condition was carried out by Stantec with support from Infrasense, Inc. The deck evaluation was completed in two phases. Phase 1 included high-speed ground penetrating radar (HS-GPR), high-speed infrared thermography (HS-IR), and high resolution video surveys; and resulted in digital 2D maps and detailed quantities of concrete deterioration, delamination, spalling, existing repairs, and rebar-cover measurements. The results of Phase 1 were used by Nevada DOT to create a comprehensive and precise rehabilitation plan, project phasing and implementation schedules, and determine corresponding funding requirements. 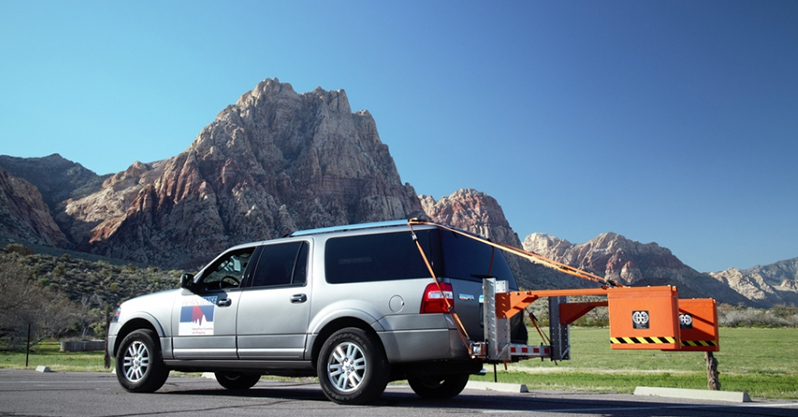 Infrasense's high-speed GPR setup in Nevada. 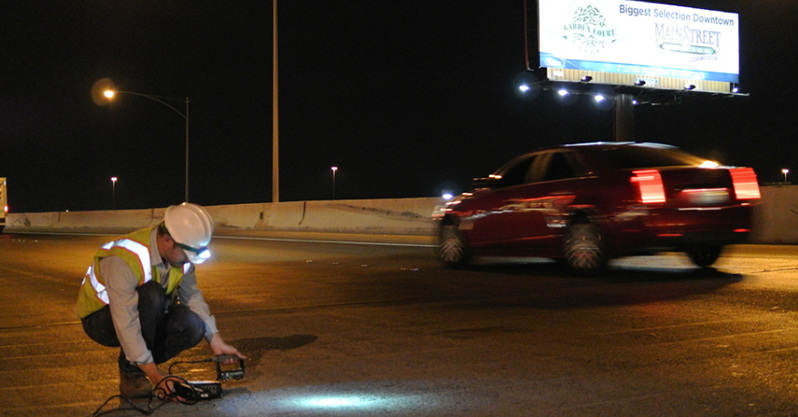 Targeted spot testing using Impact Echo ultrasonic device in Nevada. Sample deck condition results for a Nevada viaduct.